Options on Bitcoin: What’s the point? Some of America’s wealthiest individuals and institutions are champing at the bit, eager to pile into… the world’s most pointless investment. On Monday the Commodity Futures Trading Commission gave its approval to the first Bitcoin options exchange — the brainchild of a couple of ex-Goldman Sachs traders. On the surface, the idea makes sense. At a time of record-low volatility in stocks and other conventional asset classes, Bitcoin’s big price swings give options traders an opportunity for enormous, lightning-fast gains. What, you mean gains of 12,000% or even 56,000% aren’t good enough? Because as Louis Basenese explained here yesterday, those are the moves made by some lesser-known cryptocurrencies in recent weeks. In other words, you don’t need access to a hedge fund to collect option-like gains from plain ol’ cryptocurrencies. And you sure as heck don’t need to wait till the fall for LedgerX to get up and running. By the way, we’re lowballing some of the numbers. In late June our research team spotted one cryptocurrency that jumped 105,744% in 24 hours… and another that leaped 1,176,640% in seven days. That is, a $20 investment became $235,328 in the space of a week. And there’s no better time to act. “The ultimate catalyst is brewing right now,” Louis says. “Over a quarter million new retail outlets are gearing up to begin accepting dozens upon dozens of alternative currencies from all around the globe.” We’re talking by this Friday, as a matter of fact. No need to do the homework to find the right ones: Of the 831 cryptocurrencies in existence, Louis has screened every one of them… put them through a stringent five-part filtering system… and narrowed the list down to just five cryptocurrencies to own right now. As we’ve been saying for the better part of a month, all you need is $20 a just a little sense of adventure to get started. But don’t dawdle — this is the week you want to move, for reasons Louis explains right here. The Dow industrials are reaching higher into record territory this morning as earnings season rolls on. As we write, the Big Board has crossed the 21,700 mark. Coca-Cola, Boeing and Ford all posted “beats.” The other major U.S. stock indexes are also in the green, but not as strongly. Gold is backsliding a bit, now $1,248. But that’s just a mirror image of an oversold dollar getting a bit of a bounce this week. The dollar index was due to recover a bit after touching 14-month lows last Friday. The Federal Reserve will issue one of its every-six-weeks policy statements this afternoon; we’d be surprised to see anything come out of it to rock the boat. Copper, meanwhile, is touching a two-year high of $2.85 a pound. It’s up 28% compared with this time last year. He says that makes no sense. “Think about it,” he writes in today’s Daily Edge. “We currently only mine about 9 ounces of silver for every 1 ounce of gold — not 75. So silver is more rare than the price gives it credit for. “Plus, silver is actually consumed for many purposes (versus gold which is mostly stored) — so there is natural demand for silver built in. Our recession alert status: Still slightly elevated. Last month an obscure indicator called the Philadelphia Fed state coincident index registered its weakest reading since early 2010. The Federal Reserve Bank of Philadelphia comes up with this indicator by crunching four job figures from each of the 50 states and then putting it all on a scale running from minus 100 to plus 100. Readings of plus 50 and below have called the onset of every recession going back nearly 40 years. The May number was 58 — down from 88 only two months earlier. The June number is out today. It’s 54. Time for a progress report on “regenerative” medicine — “the ability to create healthy and functioning human cells to replace ones lost in the body to injury and disease,” Ray Blanco reminds us. It’s a story we’ve been following at Agora Financial for more than eight years. Ray is following the fortunes of a tiny company working on pluripotent stem cells to help heal spinal cord injuries and paralysis. Phase 1 data look promising so far: “Last month, the firm announced nine-month follow-up data for patients that were given a 10 million cell dose to their injury. Even though this half of what researchers believe will be a full dose, half the patients have shown signs of recovery. “This includes two levels of improvement in motor function, as well as improvements in arm, hand and finger function. 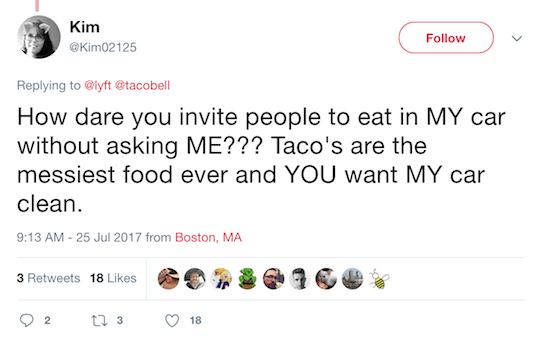 From the “Who on earth thought this was a good idea?” file… we have the ride-sharing firm Lyft pairing up with Taco Bell to enable drunken hipsters’ most obnoxious habits. The service will be available on certain nights from 9:00 p.m–2:00 a.m. 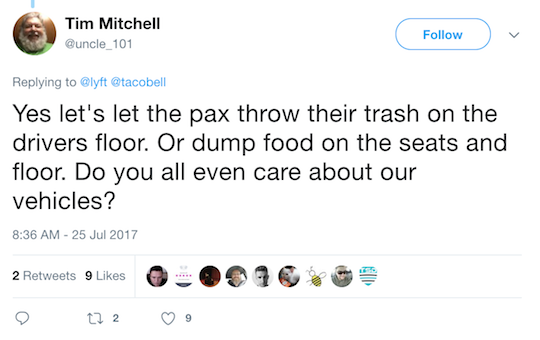 If people use this service as it’s obviously intended… uh, let’s just say trash and stray taco fixings might be the least of the drivers’ cleanup worries. The health care debate in our virtual mailbag is reaching new levels of snark — directed at other readers, that is. First entry: “Maybe the genius (meant sincerely to describe someone who is so smart he actually trained the ‘leftist Supreme Court’ to use computers!) could explain why Canadian health in general surpasses that of the U.S. in nearly every respect, from infant mortality to life expectancy. “The Canadian health care system is miles from perfection, but the very least to be said about it is that it is exponentially less bad than the American system. I am not holding this up as an endorsement, as I don’t hold the Canadian system as a model for anyone. But for what it’s worth, I have never personally experienced the catastrophic waits people often talk about (nor, tellingly, have I ever personally heard of them from others, and I don’t live in a cocoon), and that includes treatment for a very serious illness many years ago. “I am sick of people who say health care is a right. It is NOT. “A right, as used in the sense of the Constitution, is something you possess as a result of your existence, e.g., freedom of speech, right to bear arms. It does not require anyone else to DO anything in order for you to exercise that right. “Health care, a commodity, requires that someone else take some action on your behalf, i.e., a doctor, a nurse, etc. If someone else must do something for you, then either they must be compensated or not. If they are not compensated, that is known as slavery. If they are compensated, then the money to do so must come from somewhere. If health care is a right, then that service must be performed regardless of whether you, the recipient of said service, can pay or not. “However, if they are paid for by the government, the ultimate payer if it is a right, the government must get the money from taxation, either now or in the future. 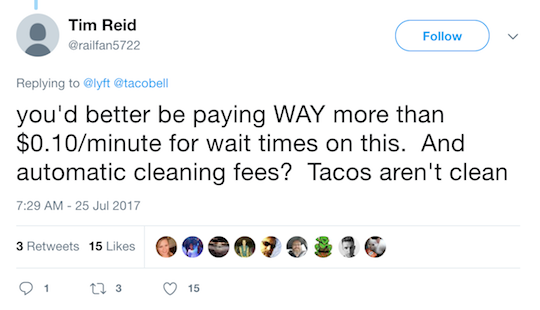 The taxpayers from whom they take the money — yes, the government TAKES taxes — did not receive the said services and hence are not compensated for their money. The taking of value without compensation is again slavery. “Thus, those that claim health care is a right are calling for slavery either of the medical professionals or the taxpayers. The only way the provision of a service is not slavery is if the individuals who receive the service compensate the provider of said service themselves, i.e., a ‘market’ economy. And no, I do not accept the shared-obligation theory of government. “Or maybe I’m just getting grumpy in my old age. The reader’s take: “I cannot tell you how often I heard variations on this quote when, as president of a better-government group in California, I would warn city and county officials of the probable unintended consequences of their actions. “‘Enforcement officers’ are employed to enforce laws and ordinances. They are not judges or jurors. Their job is to enforce. If they don’t enforce, a citizen can file a complaint against them for dereliction of duty. The 5: Good intentions are all that matters, right? P.S. “This Is What It Will Take for Bitcoin to Become a Legit Currency,” says a headline at MarketWatch. Yes. You can. Lots of money. You just have to do it the right way. Here’s how. P.P.S. For best results using our team’s “Secret $20 Bitcoin Blueprint,” it pays to act before Friday.